Inferior men do not start a work due to fear of obstacles. Medium men start their work, but leave the work whenever they get difficulty. Exceptionally good people start their work, and continue doing working even if there is series of obstacles in their way. Shanti Raghvan and her team are among those “Exceptionally Good” people, the driving force of EnAble India! 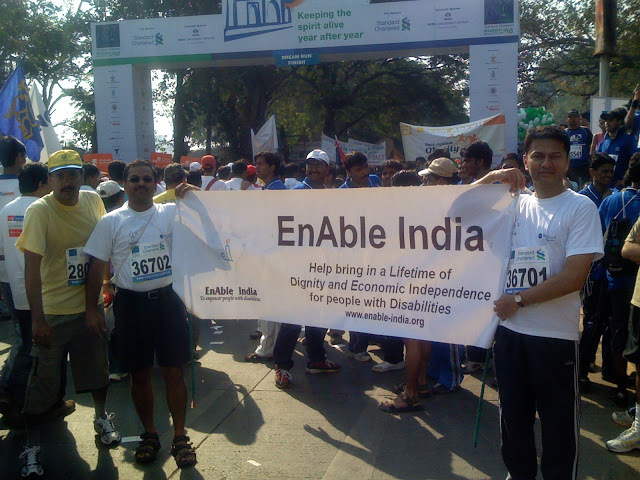 EnAble India was founded in 1999 by software engineers Shanti Raghavan &Dipesh Sutariya, who have known disability at close quarters within their family. 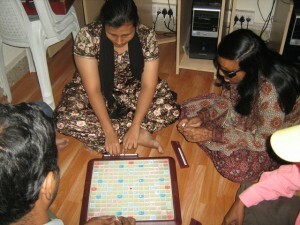 After having successfully rehabilitated their loved one, they are now using their know-how & insights to empower others. Shanti and Dipesh bring a professional approach to social service, drawing from years of experience in the corporate world. EnAble India is working for the empowerment of various kinds of SAPs, and gets them employed. Its speciality is in making those SAPs work for Better India!! Yes, so far we might have seen SAPs getting help from the society but here the case is reversed and more than 10,000 hours of volunteering by SAPs who have volunteered for the Better India!! How do you solve the problem of food wastage by hotels and food shortage in old age homes and orphanages? Simple! EnAble India’s candidates with physical disability convinced hotels to give away the excess food to the homes. Today 9 hotels in Bangalore are supplying food to these old age homes, orphanages and ashrams. What an idea! Mission: Candidates with physical disability wanting to spread awareness and bring change in one village. Result: 30 houses made aware about personal hygiene, clean environment, protection against diseases, legal awareness, and women and girl child empowerment. June 2013: Red letter day for India. Who can forget the floods in Uttarakhand, devastating the entire state? Result: While successfully collecting grains, clothes and other relief items, candidates learnt to successfully convince people with timely intervention, empathy and patience. Result: Successfully convinced BBMP (Bangalore Municipality) to install lights and repair pavements. EnAble India’s candidates learnt to write in Kannada to officially send a letter to the BBMP, and this little effort managed to sway a lot of decisions. Achievement:Reduced accidents, reduced crime and increased safety. Additional bonus: Pradeep, EnAble India’s candidate with vision impairment, went back to his hometown and got streetlights installed, after finding out about a chain snatching incident. Now people, especially women, are able to go out after dark. The garbage dumping near St. Martin’s High School in Magadi Road takes place on a daily basis where heaps of garbage would be burnt next to the school during lunch hours. The students at that time would be out of the school premises and become ill by inhaling the smoke. With the students falling ill, the headmaster had reported to BBMP but did not see any changes. EnAble India’s team of 6 candidates with vision impairment decided to take this up as a community project and wanted to spread awareness on garbage dumping. They conducted a survey on garbage bins and disposal bags on almost every house in the area, around 40 houses. The Achievement: Increased awareness and many NGOs seeking EnAble India collaboration after seeing EnAble India’s candidates work! Don’t wait for inclusion – include yourself! EnAble India’s candidates with vision impairment developed an accessible menu card using Braille – A “See Change” for one restaurant in Koramangala. This is the first step in self-advocacy and inclusion, with many more restaurants to include this menu. One May ask, is this an NGO to help SAPs? Or an NGO of SAPs who helps the society? It is both! Let’s see its Mission, Vision and Goals! EnAble India’s mission is to empower persons with disability. The mission is founded on the firm belief that the disabled do not need sympathy — they need a supportive environment to grow and fulfil their needs, potential and dreams. EnAble India’s core activities are employment of people with disabilities, pre-employment services, supplemental education, counseling and support services, consultancy and training for other institutions and NGOs and technology services. 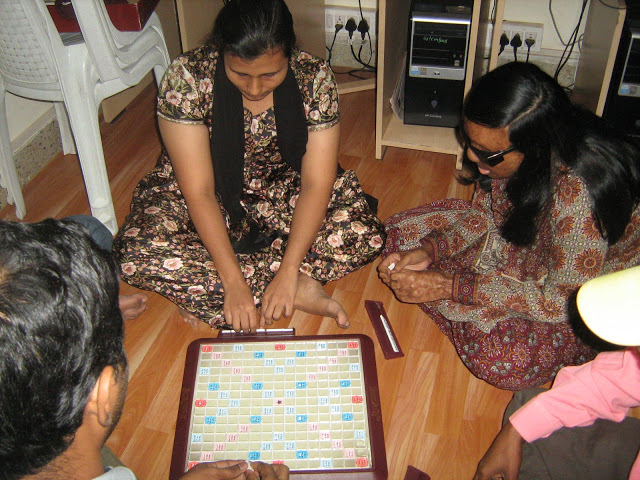 Persons with disability in India find it difficult to find employment. They are often not aware of the jobs available and nor are they prepared with the right education, skill sets or attitude. Most know little about the technical and other aids or methods they could use at the workplace to carry out a wide range of tasks and responsibilities. EnAble India trains and counsels persons with disability and prepares them to join the mainstream workforce as confident individuals. Organizations in the private and public sector, barring a few, are unaware that persons with disability too possess the talent and commitment to be part of a productive workforce. There is also little awareness about the fact that the disabled can work efficiently in a variety of functions with the help of simple technology and other assistive aids . 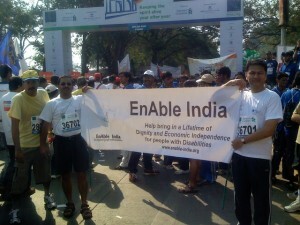 EnAble India works towards making people with disabilities a part of every corporate hiring plan. Families, the society at large and the government together need to create a strong supportive environment for persons with disability to help them grow into confident, independent and productive individuals. EnAble India is committed to dispelling both sympathy and apathy towards the disabled and building awareness for the creation of a supportive environment. To empower the disabled: visually, physically and hearing impaired. To enable the rehabilitation of people with disabilities through supplemental education, extensive training and providing assistive aids designed for daily living, education and for the work place. To enable employment for people with disabilities. This will help people with disabilities fulfil their potential by being part of the workforce and enjoying successful jobs and careers. To build the next generation of people with disabilities who are confident, assertive, smart and independent. – Work with 400+ companies, average 15-20 new roles identified and 4 new innovative workplace solutions identified annually. – Content development for computer literacy for people with vision impairment, employability training across disability and inclusion and diversity enabling modules created for employers. ** Successfully developed and implemented the First-of-its kind model for placement cell for the state of Karnataka. One of the few organisations in the world working for various kinds of disabilities, for their economic independence and dignity via wage employment, self employment and entrepreneur models. – Placed over 2000+ persons with various disabilities, across 26 sectors and 20 locations across the country. There is a lot to say about EnAble India, and I hope you have curiosity to know more, but its quiet difficult to tell everything about such an organization in one article… See you in part-2! !